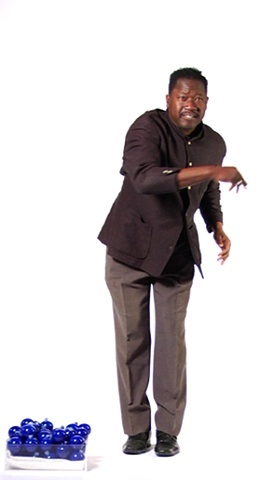 studio > When I hear Thunder, I take a Bow. Two projections across from each other in a three walled white and illuminated space. 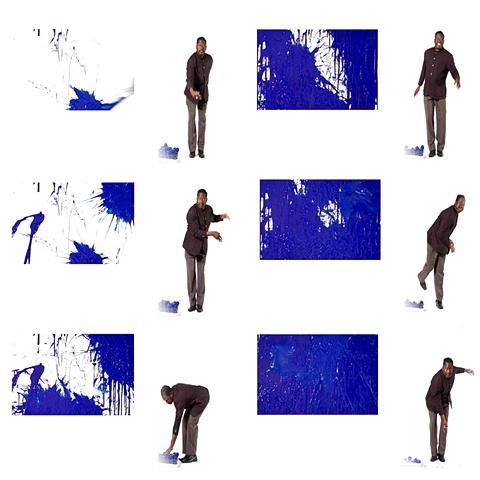 In one projection Marvin Tate picks up glass ornaments filled with blue paint from the pile at his side and hurls them directly at the camera, into the void. 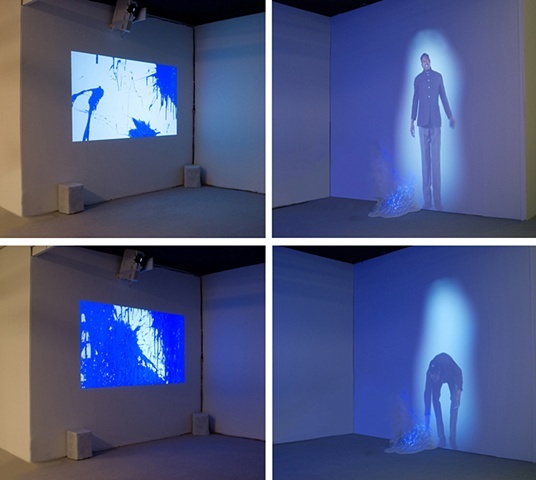 Across from him, the other projection shows the paint splattering against the wall as the ornaments he is throwing explode upon impact, eventually forming a monochrome blue rectangle. You hear the sounds of glass exploding, paint dripping. A pile of glass ornaments is sitting to Marvins right on a paint spill on the floor, white and blue light shines through them, creating a shadow on the wall intersecting with his projection. He bends over, dips his hand into the pile, pulls out another ball, straightens himself, looks, swings his arm and throws it.